Cutting-edge companies today are taking the old saying “the customer is always right” and putting a new twist on it. Instead of blindly stating that customers are always right in every possible situation, these companies instead are creating and adopting a customer-centric culture. In this kind of culture, all business activities are geared toward determining exactly what customers want and figuring out the best ways to deliver it to them. The finance department is playing an increasingly important role in the creation of this kind of customer-centric culture. 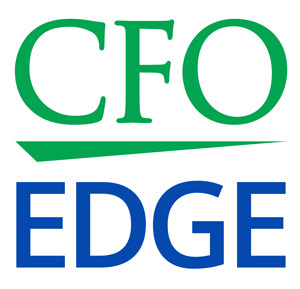 In recent years, the role of the finance department — and the CFO in particular — has evolved into more of a strategic partnership and advisor to other departments within the organization. Successful organizations have broken down the silos and walls that have traditionally separated departments to form cross-functional teams that share data and analytics across departments. This kind of data sharing is crucial in discovering patterns and correlations in customer activities that can help determine customers’ ever-changing wants and needs — and delivering products and services that meet them. It is also important to evaluate the allocation of organizational resources and investments required to capture your customer’s needs in an innovative and collaborative way. In a survey of 161 middle-market finance executives conducted by CFO Research and cited in a CFO Magazine article1, more than half (66 percent) said they feel they are either somewhat or highly successful when it comes to innovation, while 31 percent don’t feel they have been successful at innovation. However, in looking back at the previous 12 months, one-third of the finance executives who responded attributed at least half of their revenues to innovation. § A loss of customers and lower revenue. § A loss of market share due to a lack of competitiveness. § An inability to grow the business. § An ineffective and inefficient operating environment, both internally and externally. § A lack of employee creativity that leads to low employee motivation and morale. § Re-align your organizational structure to drive customer-centric processes. § Encourage creative thinking and transparency in all areas of the organization. § Promote an environment of innovative risk taking that constantly targets your customers’ needs. § Stress the importance of flexible and creative thinking when assessing ideas. § Maintaining your competitive edge in the marketplace. § Improved customer retention rates and increased revenue and market share. § Higher employee morale due to greater creativity, collaboration and innovation in the workplace. Cutting-edge companies today are adopting a customer-centric culture in which all business activities are geared toward determining exactly what customers want and figuring out the best ways to deliver this to them. The finance department and the CFO in particular are playing an increasingly important role in the creation of this kind of culture, helping break down the silos and walls that have traditionally separated departments. The sharing of data and analytics across departments is crucial in discovering patterns and correlations that can help determine customers’ changing wants and needs in order to deliver products and services that meet them.